Maca is often referred to as a natural hormone balancer, an adaptagen that can treat symptoms of menopause and sexual dysfunction in both men and women. Maca root may also help treat other conditions associated with hormone imbalance, such as depression, insomnia, fatigue, and acne. Maca root powder also contains two unique types of acids named macamides and macaenes, which are believed to play a key role on balancing hormones in men and women. 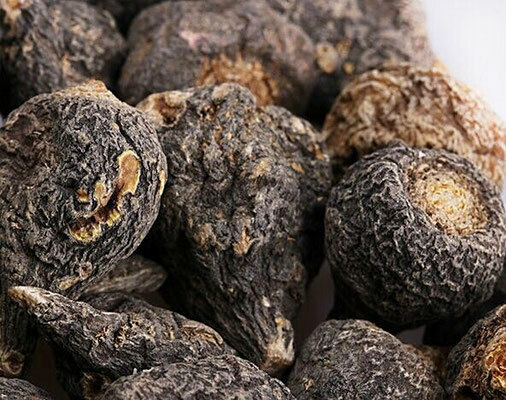 The Black Maca Powder is produced with 100% black colored Maca roots. This maca variety is the rarest of all, being responsible for only around 15% of the annual harvest. 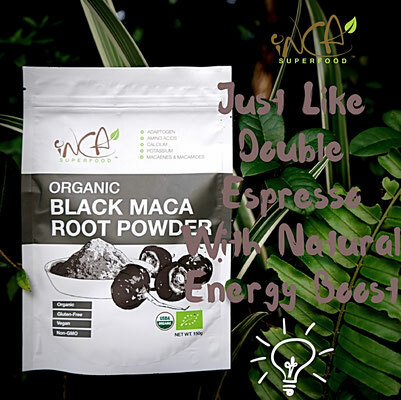 Studies have demonstrated that the Black Maca is the most beneficial maca variant regarding endurance, muscle building, mental focus and male libido. * Lee MS, Shin BC, Yang EJ, Lim HJ, Ernst E (2011). "Maca (Lepidium meyenii) for treatment of menopausal symptoms: A systematic review". Maturitas 70 (3): 227–33. ** Ernst E, Posadzki P, Lee MS (September 2011). "Complementary and alternative medicine (CAM) for sexual dysfunction and erectile dysfunction in older men and women: an overview of systematic reviews". Maturitas 70 (1): 37–41. *Those statements have not been evaluated by the food and drug administration. Those products are not intended to diagnose, treat, cure, or prevent any disease.